I was really hoping to have my latest crochet project ready to share with you this week. However, I’m only half way through. Funny how some projects seem to progress slower than expected! Last year we had a great time at our local pick your own. We haven’t made it so far this year – partly because of not making time for it and partly because I’m still recovering from picking the fruit and making 22 jars of jam in one day. That’s a quite a lot but we’re running low on jam supplies now. Fortunately I picked up a couple of punnets of apricots cheaply at Manchester markets last weekend. 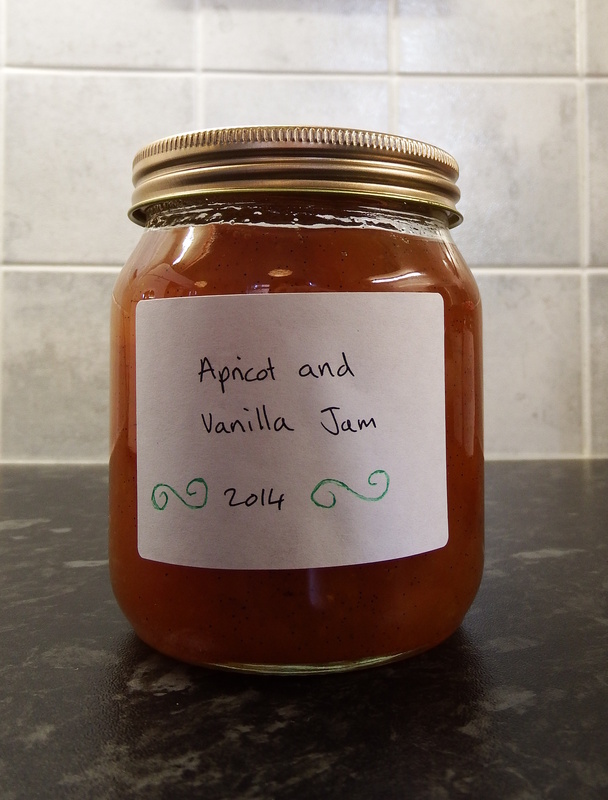 I haven’t made apricot jam before so I thought I’d give it a go! As you may have picked up, I love vanilla, and having seen a few peach and vanilla recipes around recently I thought I’d see if it worked with apricots. Well, I was on a bit of a sugar high by the time my husband got home from work yesterday, having basically licked the pan clean! Stone all the apricots and cut into bite size pieces. Cut the vanilla pod lengthways and scrape out the seeds onto the apricots, and add the vanilla pod cut into large pieces if you like too (you’ll need to remember not to eat these when they get spread on your toast later if you do this). 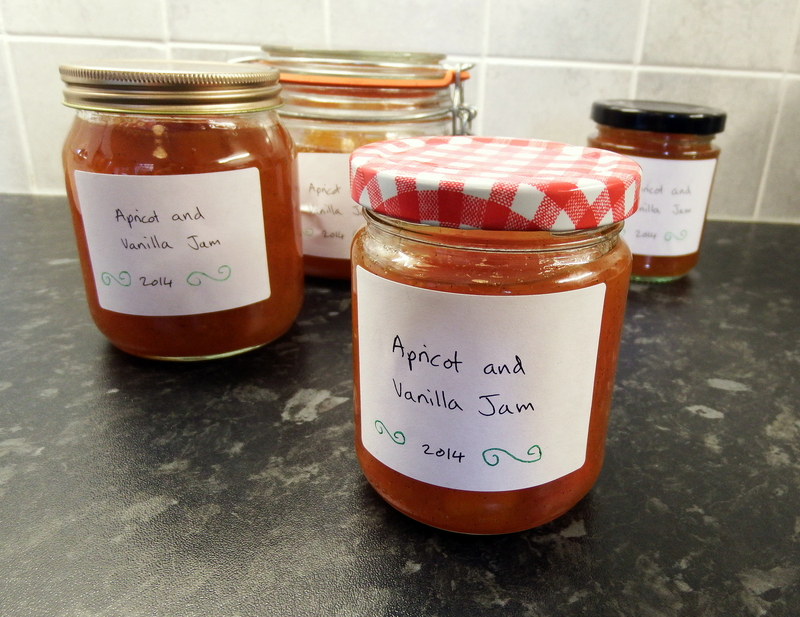 Macerating apricot and vanilla jam. Smells amazing! Put all the ingredients into a large bowl and leave to macerate for an hour or two. 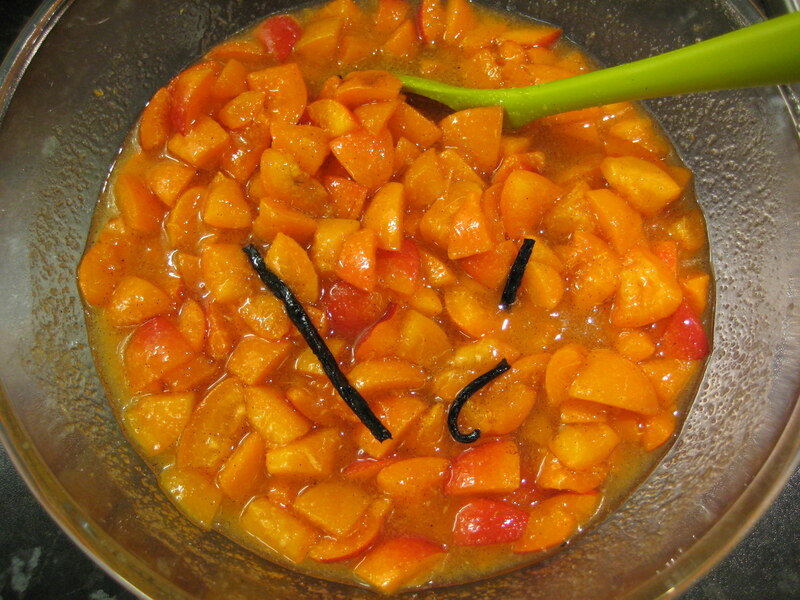 All the liquid will be drawn from the apricots and they will get lovely and soft, which reduces the cooking time. You can skip this step if you are short on time but I think it keeps the fruit tasting fresher. Heat the mixture in a large pan until you reach a rolling boil. Boil for about 10-15mins, until the mixture reaches 104.5°C, or until a spoonful dropped on a chilled plate is set after 30seconds or so of cooling. What are your favourite combinations for jam?